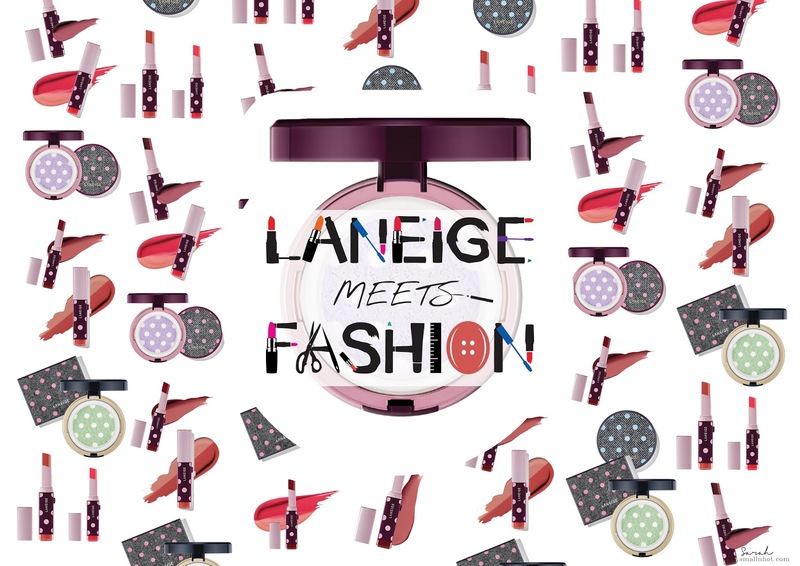 The LANEIGE MEETS FASHION 2017 collaboration presents a new limited-edition line of beauty products in collaboration with Korea's up and coming designer, Yoon Choon Ho. The brand YCH is acclaimed internationally and having established a following in not only Korea, but also Hong Kong, China, the United States and Canada. The marriage between LANEIGE and YCH features classic herringbone pattern and a retro-inspired polka dot motif exudes a quality that is at once retro and sensual yet modern and glamorous. This collection includes limited-edition design on a newly formulated Skin Veil Base Dot Cushion, Two-Tone Matte Lip Bar and Eyebrow Cushion-Cara. The popular Skin Veil Base has undergone a facelift and reformulation with the addition of Fitting Dot and Waterbank Essence ingredients, resulting in the new and improved Skin Veil Base Dot Cushion. The new Two Tone Matte Lip Bar is specially formulated for those who prefer a matte finish on the lips without feeling dry. The attractive LANEIGE x YCH herringbone and polka dots motif will be featured on the packaging of the lip bar for a touch of classic beauty. 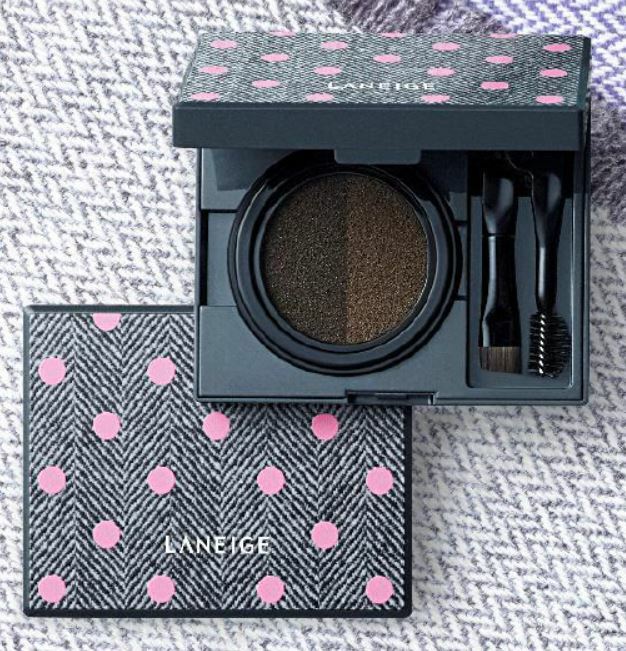 Laneige's Eyebrow Cushion-Cara brings a versatile twist to a regular brow kit. Available in 2 shades - No. 1 Two Tone Grey and No. 2 Two Tone Brown. The Eyebrow Cushion-Cara is a liquid-to-powder texture is also resistant to water and sweat, giving you the perfect brows that lasts all day. The eyebrow kit includes an innovative cushion and foldable dual applicator that eases application without clumps. The exclusive LANEIGE x YCH collection will be made available at all LANEIGE beauty counters and boutiques in Malaysia starting September, 2017.